This week's Write the Book Prompt is to read some of David Budbill's work and let it inspire you in your own writing. His work was frequently included on the Minnesota Public Radio show The Writers' Almanac. Those poems can be accessed here. 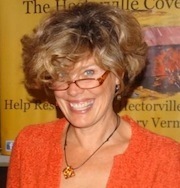 Vermont Poet, Publisher and Book Designer Dede Cummings, whose new poetry collection is To Look Out From (Homebound Publications). This week’s Write the Book Prompt is inspired by the conversation you just heard with Dede Cummings. Dede found the title for her collection To Look Out From, by researching the etymology of the name of the town where she was raised, Matunuck, RI. Matunuck, as we learn in the collection, is possibly a term that comes from a Southern New England Algonquian term meaning “high place,” “high point,” or “to look out from.” In your own world, is there a place name or otherwise relevant term that you hear all the time but perhaps have never investigated? Maybe you live in Winooski. Did you know that Winooski comes from an Abenaki term that means “Land of the Wild Onion?” Is your last name from a place you could research and learn more about? Do a little investigative work and then write a poem, a story or an essay that is inspired by what you learn. Interview from the archives with professor of English and former director of the creative writing program at Miami University in Oxford, Ohio, Eric K. Goodman. We discussed his then-new novel Twelfth and Race (Bison Books). This week’s Write the Book Prompt is to write a poem, a scene, or a story in which race plays some role. Write without thinking or planning. When you finish a draft, set it aside and think a little bit about what you’ve decided you’re trying to say or portray before you revise. When you finish, will you show it to anyone else? Do you find race a hard subject to tackle? Why or why not? Novelist Tiffany McDaniel, whose debut is The Summer That Melted Everything (St. Martins Press). This week’s Write the Book Prompt has to do with the play of expectation that was central to Tiffany McDaniel’s debut novel, The Summer That Melted Everything. Her characters are not always who we expect them to be. The young man who calls himself the devil commits acts of kindness. The older man whose name implies goodness and piety is not who everyone always thought him to be. In your own world, consider a recent misunderstanding - perhaps you underestimated or misread someone, or someone underestimated or misread you - and write about that experience. Acclaimed nonfiction writer Jean Zimmerman, whose novel, The Orphanmaster, was published in 2012 by Viking. Today's Write The Book Prompt is to write about an interaction between two people who do not share a common language.